A better fit means less stress on the knees & lower back and greater efficiency for the rider. The bottom line? 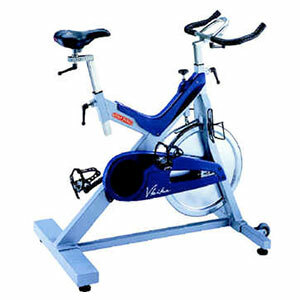 No other bike can compare with the V-Bikes style, fit and innovative componentry. Size and spin rate of the flywheel are calculated to achieve the proper inertia, creating the most realistic cycling feel and minimizing risk of knee damage.